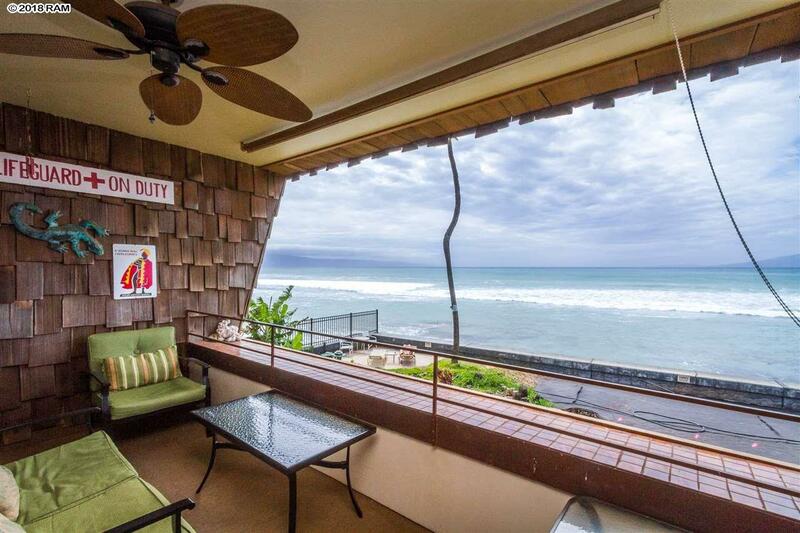 Kulakane 202 is a direct oceanfront condo featuring direct ocean and sunset views including a thriving sea life world with whales, dolphins and turtles easily seen from your lanai along with the multiple Hawaiian Island views. 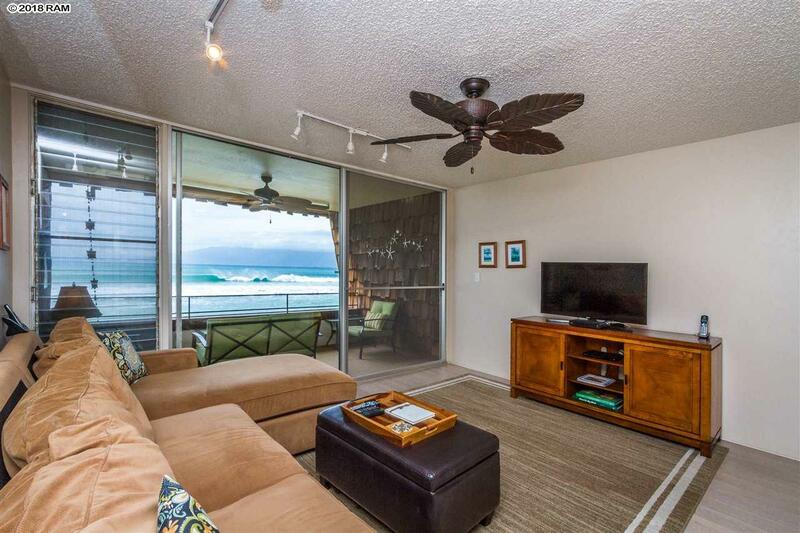 202 is a popular and successful vacation rental and is offered furnished, a complete turnkey rental property. The owners and guests love staying here, resulting in a high occupancy. Tastefully decorated, with new Bamboo floors, sofa that pulls out to a bed to sleep additional guests. You will feel at home in 202. The covered private lanai adds extra sq feet of outdoor living space. Newer appliances including a wine cooler, and dishwasher. Community Laundry on-site. 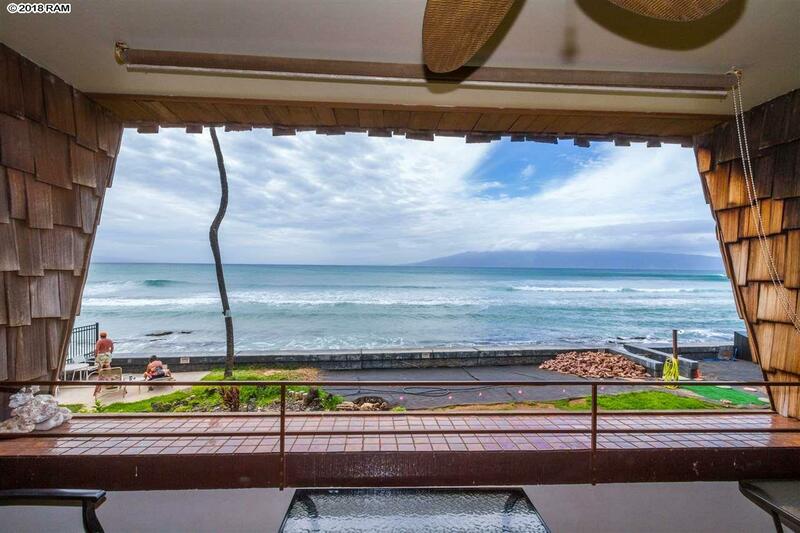 Ideal location in west Maui, perfect for walking or biking to shopping and events. Unit is booked heavily, please call or email your favorite realtor to schedule a viewing of this home. 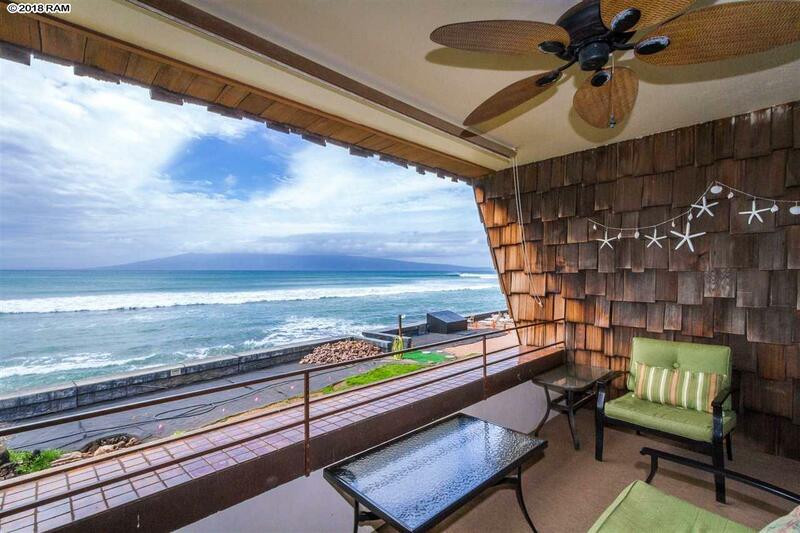 Listing provided courtesy of Berkshire Hathaway Maui Prop-L. This information is believed to be accurate. It has been provided by sources other than the Realtors Assoc. of Maui and should not be relied upon without independent verification. You should conduct your own investigation and consult with appropriate professionals to determine the accuracy of the information provided and to answer any questions concerning the property and structures located thereon. Featured properties may or may not be listed by the office/agent presenting this brochure. Copyright, 1995-2019, REALTORS® Association of Maui, Inc. All Rights Reserved. Data last updated: 2019-04-23T07:06:24.2.